In the photos below you can see Gaudenz Alder, founder of JGraph and developer of draw.io, and Inga Koreng, responsible for Marketing in the draw.io Team. draw.io is available as a Confluence add-on, which supports versioned and fully integrated diagrams of all types, and diagram editing from within Confluence. Gaudenz and Inga answered “yes” to the two questions above, and will be part of the ten-member delegation from //SEIBERT/MEDIA at the Atlassian Summit on the 11 – 13 October. As you can see in the photo, Gaudenz and Inga are holding a voucher for $20 worth of Atlassian swag, which can be redeemed in the Atlassian Swag Store. They will be handing out 50 vouchers to people who meet and speak with them and their colleague, David Benson, at the summit – a small incentive to drop by and learn more about diagramming and visualization with draw.io. If you would like a more intensive introduction and demonstration, contact us so we can make an appointment. Gaudenz, Inga and David will then show you draw.io in operation, and discuss with you the applications, various customer use cases, and the advantages and disadvantages of draw.io when compared to similar tools. Whoever fills out the following form, will definitely receive a voucher! This is how you can kill three birds with one stone: Learn about draw.io, the best and most powerful web-based diagramming software for businesses, get to know the founders, and receive a small gift. 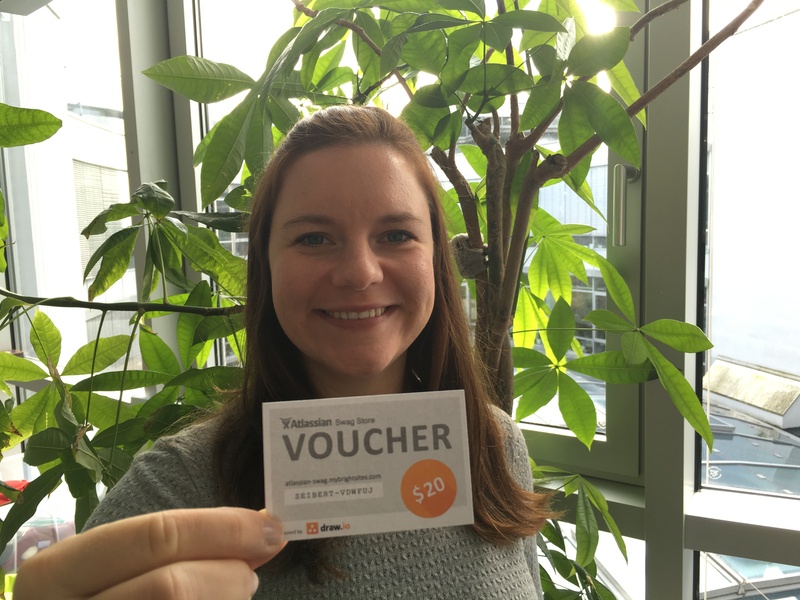 Our draw.io colleagues are looking forward to giving away these vouchers. By the way: the codes on the vouchers that Gaudenz and Inga are holding in the photo above, are real and valid. 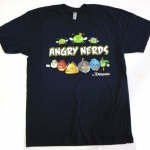 Two lucky readers have the chance to redeem it in the Atlassian Swag Shop. Try it, and you might just get in first! 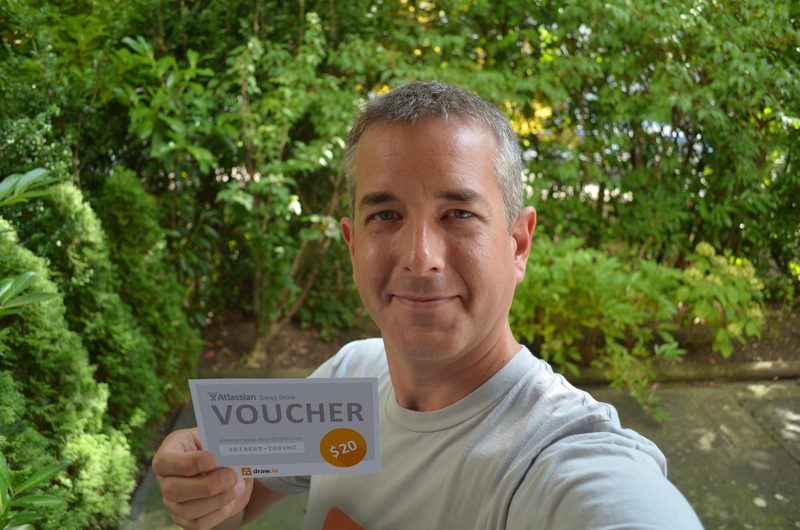 And in case someone got in before you, come and pick up a voucher in person at the Summit.